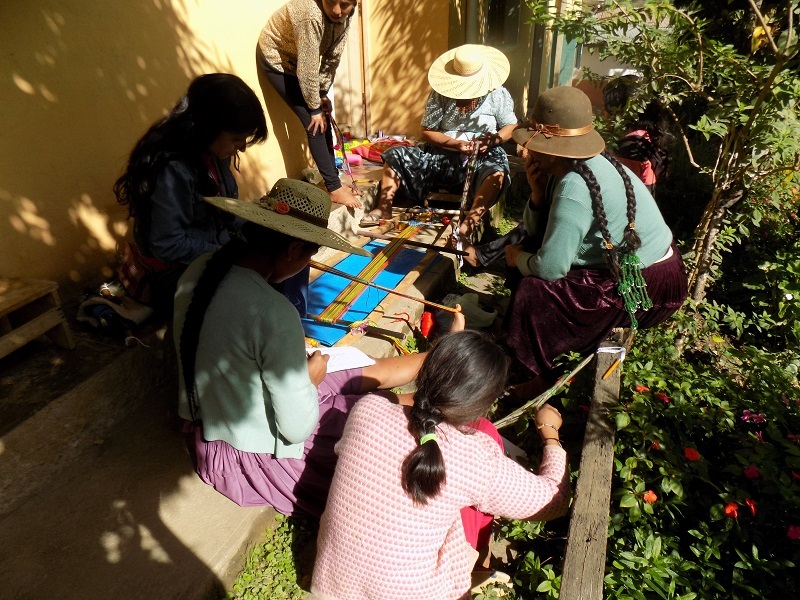 Laverne Waddington crosses continents in her annual travels to teach weaving workshops. Early in January she crossed Bolivia to visit Independencia. The flight from her home town of Santa Cruz in eastern Bolivia to Miami is shorter than the bus ride from Cochabamba where Dorinda met her to Independencia. Laverne, Doña Máxima, and Dorinda were roommates at the 2010 Tinkuy in Cusco Peru having connected as the only Bolivian based Weave a Real Peace (WARP) members. Doña Máxima and Dorinda have tried to lure Laverne to Independencia ever since. Laverne´s first day in Independencia dawned sunny and Club de Artesanas (CdA) members began arriving casting shy glances at the foreign weaver they had heard so much about. Nobody knew what to expect because none of the local weavers had seen a foreigner weave. 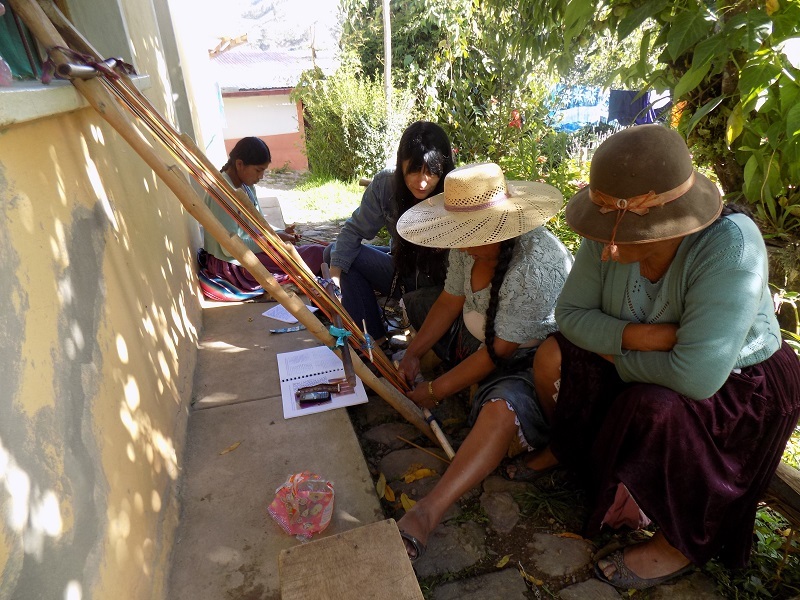 She worked with the adult weavers Adviana, Doña Antonia, and Doña Máxima and they worked with the teens. FINALLY, it happened! 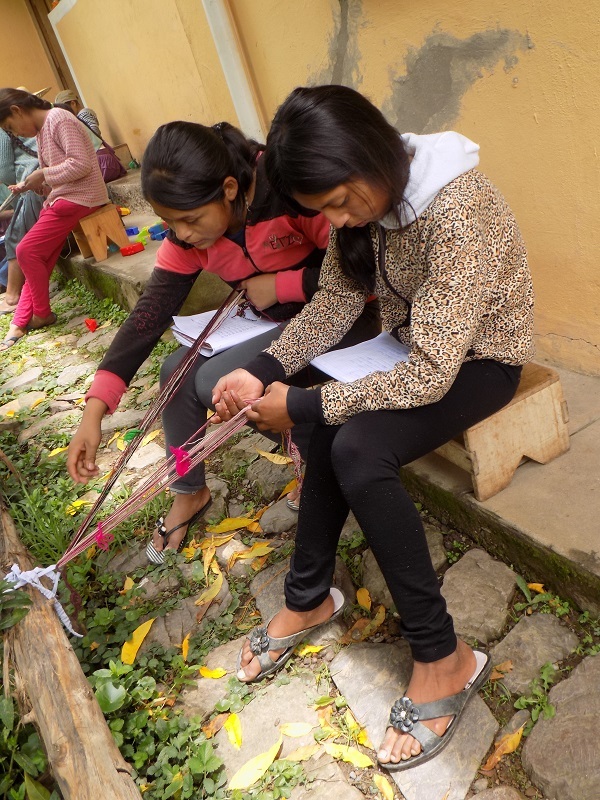 The weaving fever was contagious and the teens caught it and chose to weave all day along with the women. Not only were they weaving and enjoying it but the barrier between the adults and teens disappeared as all worked together. Doña Máxima remembered that there were still a few spools of Pearly Perle cotton yarn that Irene Schmoller, founder of Cotton Clouds, had donated in 2013. She used it to warp straps for the chicas. The cotton yarn is smoother than the handspun wool yarn making it easier to move the heddle strings and less frustrating for beginners. 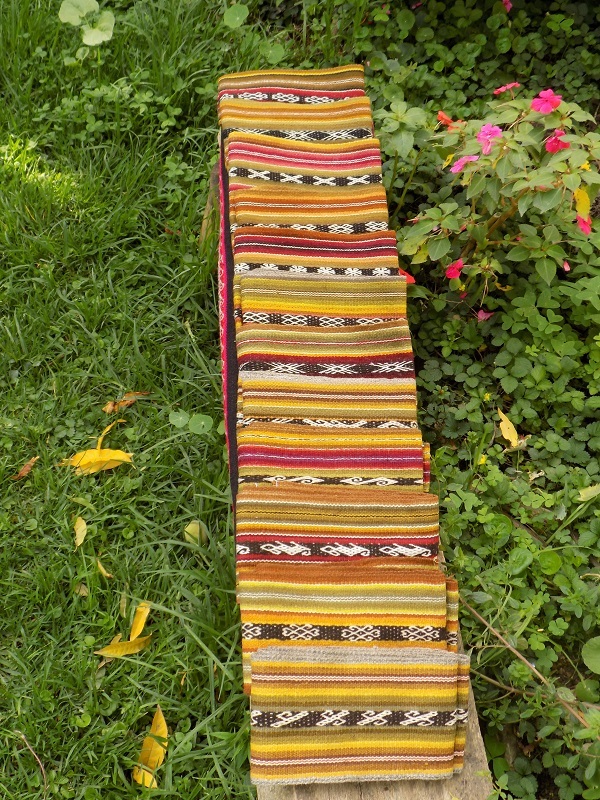 Doñas Máxima and Antonia warped a short leaning frame loom so Laverne could teach one of the larger motifs from her book. The CdA members had a day off while Laverne went to Huancarani. 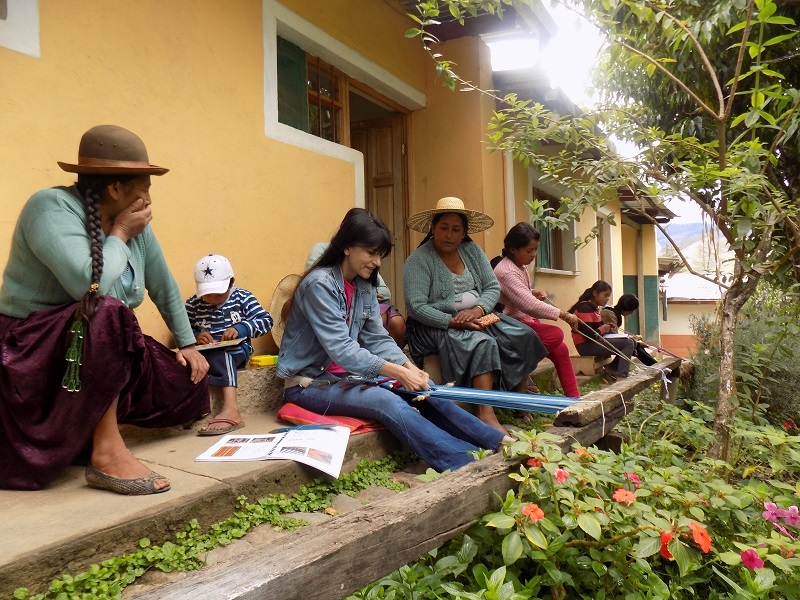 On Saturday which was her last day Adviana, Doña Máxima, and the chicas returned to learn more figures. The weavers sat every which way on the walkway weaving and enjoying the quiet camaraderie and crisp freshness following the night´s rainfall. Laverne wove on her back strap loom when not helping others. Doña Máxima sat on a low stool in front of the leaning frame loom. Adviana and the chicas worked figures using body tension looms tied to the flower garden railing or their big toes. The scene was everything the Club de Artesanas was supposed to be when it began as the Club de Chicas in 2010 to teach teens to weave.